NEG – The future of Australia’s National Energy Guarantee hangs in the making this week as state government cabinets meet to discuss their positions on it, ahead of Friday’s Council of Australian Governments meeting. The Australian is reporting that Energy Minister Josh Frydenberg has accused Labor states of “politicking and posturing” ahead of the meeting. 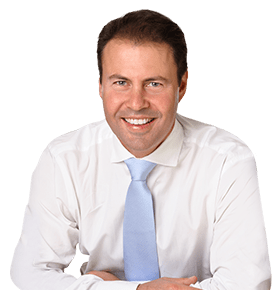 “This is politicking and posturing ahead of Friday’s meeting, because the states know all well and good that what will hopefully occur on Friday is that we agree to the design of the national energy guarantee subject to a phone hook-up after the policy has been through the federal Coalition party room,” Mr Frydenberg said on ABC radio. “It’s a 38 million tonne reduction, but importantly it’s a $550 annual saving to Australian households and a 20 per cent reduction in wholesale prices,” he said. “I do believe some of the benefits of the NEG are already built into the forward prices. You only need look at the impact of the recent coal outages on calendar 2019 wholesale [futures market] prices, where prices have rallied $7-8 per megawatt hour,” Mr McManus said. “We have a situation where we have very low emissions targets under this government’s policy, but in particular, this would absolutely stifle investment in renewable energy, and if you want to talk about jobs, you need those large scale renewable energy investment decisions to be made in order to drive those jobs into the future in this sector,” Mr Rowland told Sky News. As usual it’s impossible to expect the politicians to stand up and try and make decisions to benefit the nation, so who knows what to expect ahead of Friday’s meeting. Renew Economy have a great hit piece on how the coalition have come up with the $550 / year figure. We weren’t exactly overly charitable about it when Malcolm Turnbull announced the National Energy Guarantee last year, so it’ll be interesting to see what happens over the coming weeks. Watch this space! ‘National Energy Guarantee’ a national disgrace.